This is the famous Magnum out of the Maple Brook Alpaca Farm. He is a full Peruvian with Hemingway and Vengador as his Grandfathers. 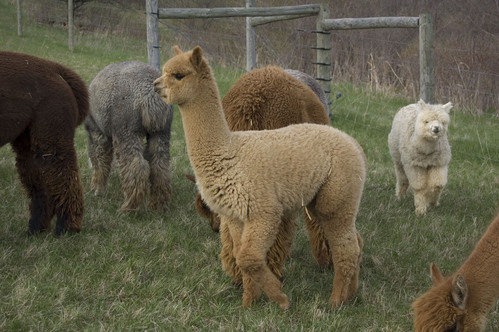 This medium brown 3/4 Peruvian female is a wonderful, attentive mom. Jasmine would serve any farm well! All of her offspring have placed VERY high in every show they have attended. 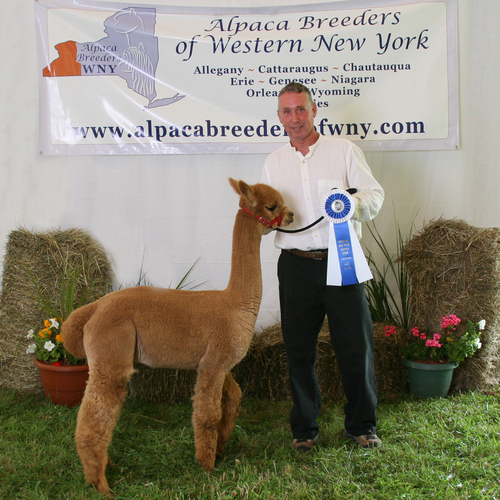 Her daughter Noelle, (a dark fawn female) placed 1st at the Central NY Classic with judge Wade Gease, in one of the biggest classes in the show, and 1st at the ABWNY show with judge Tim Lavan in a class of 10.